Our finance partner in Ireland is First Citizen Agri Finance. The team at First Citizen Agri Finance provide tailor made financial packages and solutions that match the unique needs of each customer. With competitive rates and 24-hour hassle free approval, First Citizen Agri Finance makes the process as simple as possible. For more information on Major products and a suitable finance package for your business, call to your local Major dealer or call Major on 094 9630572. A full list of Major dealers is available by clicking here. Are you looking for top quality groundcare equipment to keep your grounds in perfect playing condition every season? 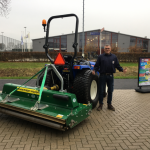 Sports groups and facilities can apply for competitive financing packages on the full range of Major Groundcare Machinery through First Citizen Agri Finance. 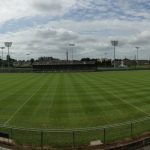 For as little as €99/month, clubs can own a Major Swift Roller Mower or Synergy Mowing Deck to maintain pitches and sports grounds throughout the year. To learn more today, call to your local Major dealer or call Major on 094 9630572. Or submit your query on our webform here.